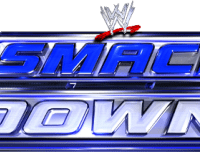 In the Lumberjack Match, 20 WWE Superstars will surround the ring for the duration of the match and, whenever a competitor is thrown outside of the ring, the job of the lumberjacks is to throw the competitor back into the ring (though they will often assault the competitor before doing so). If a lumberjack enters the ring, the referee will call for the match to be ended. The match ends by pinfall, submission, or disqualification. In the Flag Match, the flags of each competitor’s represented nation (in this case, Russia and the United States) will be positioned on a pole on opposite corners of the ring and the first Superstar to successfully retrieve their nation’s flag will be declared the winner. The Flag Match will have no pinfalls, no submissions, no disqualifications, and no count-outs. What are your predictions for SummerSlam? Post your comments in the box below.